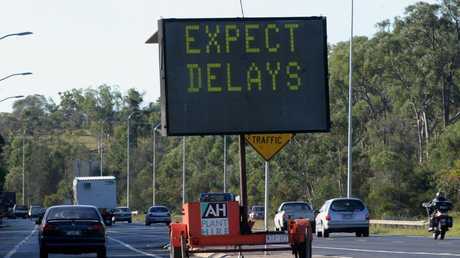 MOTORISTS are being warned to brace for delays on the roads this festive season with the Palaszczuk Government releasing a list of planned roadworks across the state. Transport Minister Mark Bailey called for drivers to do their research before hitting the roads in a bid to avoid getting caught out. "We all know Christmas travel can be stressful, but it's important for motorists to exercise patience," Mr Bailey said. "Road works can add to festive frustrations, but it's crucial drivers slow down, obey posted speed limits, or plan alternative routes if necessary. "Road works can be responsible for major delays for drivers at this time of year, so I encourage families to research and plan their routes accordingly." Mr Bailey called for drivers to also check other sources like qldtraffic.qld.gov.au or by calling 13 19 40. "QLD Traffic is an online source for state-wide traffic information, including closures, restrictions, real-time incidents and hazards," Mr Bailey said. "The Queensland Government also provides road region maps, which display rest areas, road surfaces and travelling times for motorists. "Drivers are also encouraged to check QLD Traffic social media accounts for real-time updates on conditions across their region." - M1/M3 Gateway merge project will remain at a reduced speed of 80 km/h through the site. - Mudgeeraba (Exit 79) to Varsity Lakes (Exit 85) work site, will remain at a reduced speed of 80 km/h through the work zone and 60km/h through the contraflow section of works. - Drillham-Dulacca (under traffic control until Friday), 80km/h with two lanes each way. - Bruce Highway (Bororen to Tannum Sands safety project). Multiple sections between Bororen and Tannum Sands turnoff, 80km/h speed limit. - Gladstone-Benaraby Road, one section south of Gladstone, 60km/h speed limit.